to 12AA batteries forlonger out in the field time. 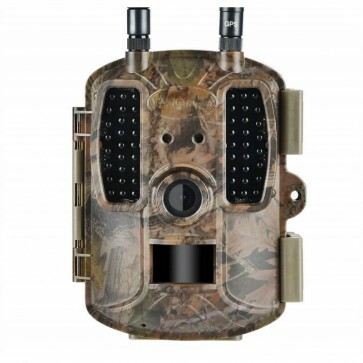 4G LT trail camera Guard1-4G.MMS camera there is no need to pay extra to a overseas company unlike some cameras being offered where you have to pay a monthly fee on top of your mobile plan. Perfect gift for anyone....or yourself. 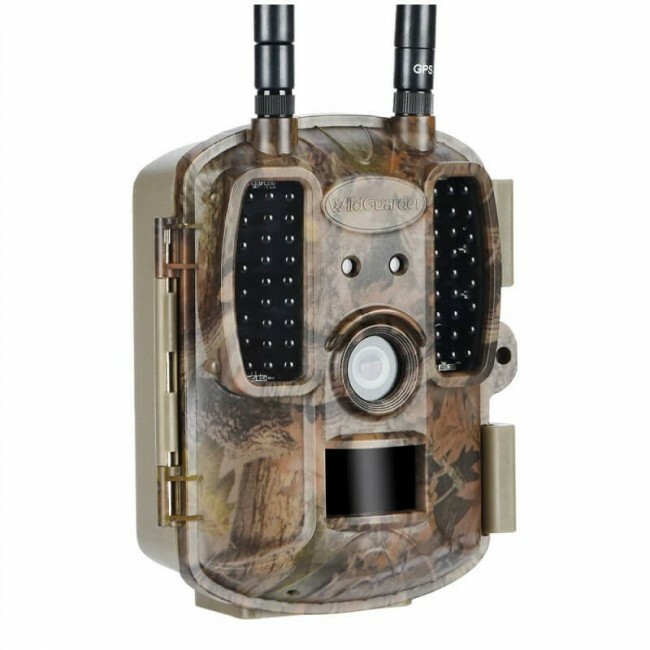 It is a perfect kit for any wildlife enthusiast. There is nothing better than setting up the camera and then reviewing footage later. Try placing it anywhere and seeing what results you can get. Looks like the macroscopically taken eye of an insect, but is the Streuscheibe of a Wild Vision 5.0 Full HD WildGuarder Camera. One can easily recognize the many small, magnifying-lens fields that bundle the infrared radiation and relay it to the infrared sensor. In "skipping" a heat source from one lens segment to the next, the detection of the radiation by the sensor is briefly interrupted. This interprets the sensor as a movement and generates an electrical switching impulse. In order to be able to safely recognize the creatures that are frolicking in front of a wild camera, the cameras have to make sharp photos. Particularly at night, where a higher exposure time is necessary, this proves to be a difficult task. Movements become out of focus. Our WildGuarder technology, however, optimizes the interaction of the lens, sensor system and the invisible black-LED flash. The result: extremely sharp and detailed night shots even with objects in motion. Ever thought about having a camera not spooking the game? Do you need a surveillance camera monitoring your unattended property where the night flash will not disclose the existence of the camera? This is it! WildGuarder 4G LTE Trail Camera uses the advanced Low-Glow flash technology that the IR flash is barely visible from 0 feet away. 3 phone numbers into the camera to send images to friends and family. area with the reliability and performance you expect. you need is an activated SIM card. 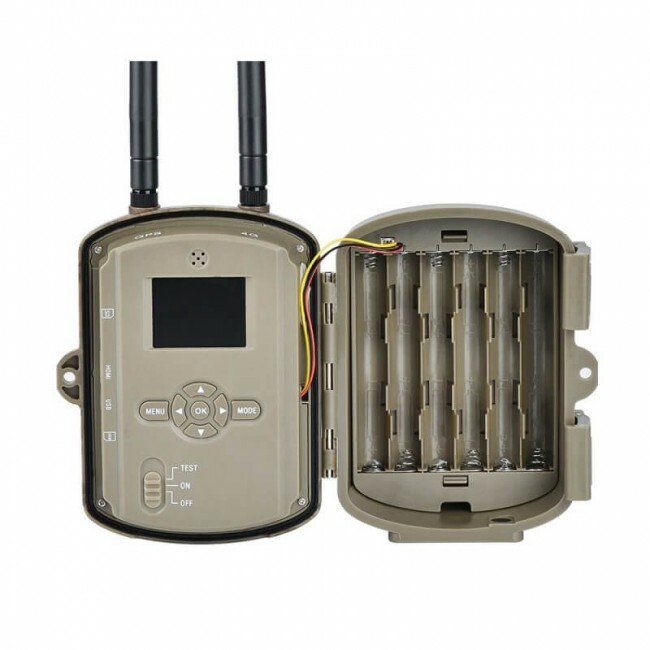 Supports the 4G LTE/3G WCDMA/2G GSM/GPRS network. range NO GLOW BLACK FLASH infra-red LEDS. 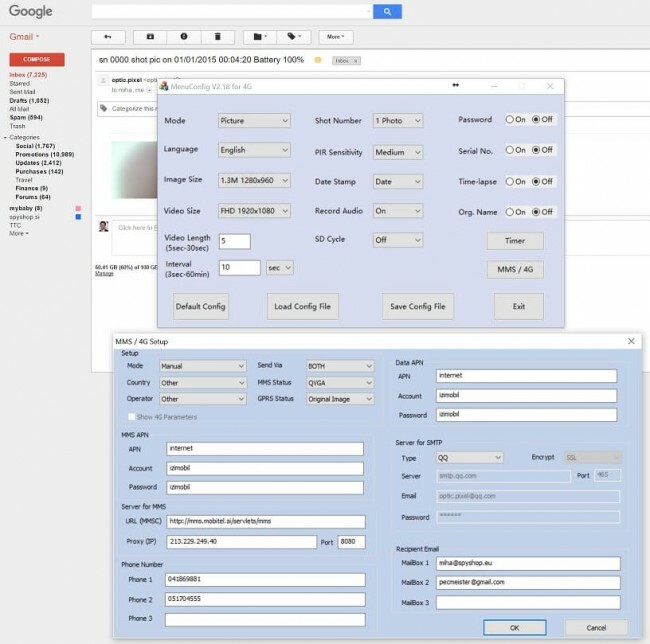 You can set up the 4G information through the wildguarder software.it is very easy and you can set it smoothly. The infrared sensor of WildGuarder® Guard1-4G works with heat and motion detection. That is, he recognizes living things by means of the body's warmth and the movements they carry out. Thus the WildGuarder® Guard1-4G neither escapes nor animal. The WildGuarder® Guard1 has a fast release time of approx. 0.6 seconds to scan all creatures - no matter how fast they are. Moreover, it is weatherproof and, thanks to the protection class IP 66, it also raises hard weather such as rain. The WildGuarder® Guard1-4G is optimally protected and ready for use everywhere. The WildGuarder® Guard1 takes pictures and videos in different resolutions, which you can adjust yourself. Choose between 5, 8 and 12 megapixels for photos. You can record videos in VGA quality, HD (720p) or Full HD (1080p). Our new DarkMotion Freeze technology, together with the black LEDs and the infrared sensor, ensure excellent day and night shooting. Submitted photos from customers prove the excellent recording quality of the WildGuarder® Guard1. The number of burglaries has risen enormously in recent years, according to the police and media reports. The WildGuarder® Guard1 is indispensable to make possible criminals. With WildGuarder® technology, the fast-firing security camera does not miss anything - even at night. The sharp images and videos in HD quality help the police and authorities to grasp the intruders. Protect your belongings against burglars with theWildGuarder®! Was What happens in your garden and on your property? In your garden, there are more lives than you can imagine. At night, when you are lying in bed or during the day while you are not at home, things happen that you do not notice at all. The WildGuarder® Guard1-4G does not miss the smallest movement in your garden or on your property. 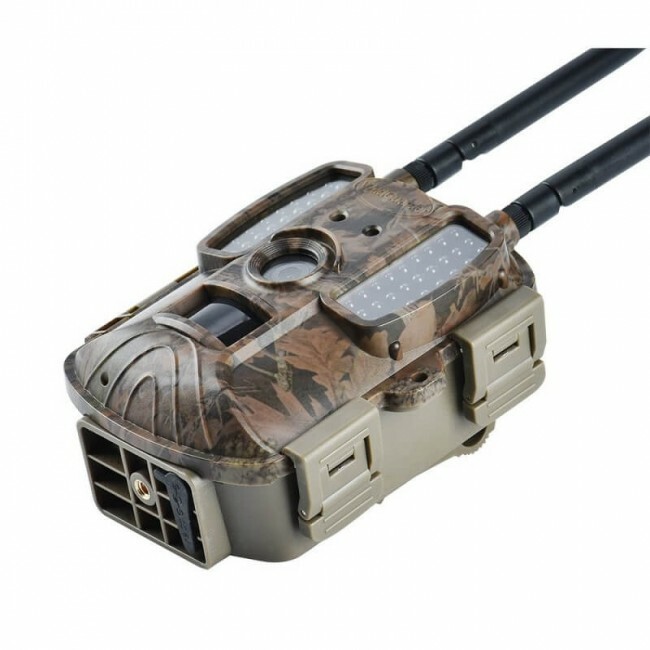 The WildGuarder® Guard1-4G included are a 4G Trail Camera,a practical mounting belt, a USB and a video cable as well as a user manual,CD disk and warranty card.